How Home Loan Eligibility is Fixed ? You are here >> Home >> Home Loan >> How Home Loan Eligibility is Fixed ? One of the key concern of a Home Loan Borrower is Home Loan Eligibility. In one of my previous post on 6 Steps of Home Loan Process i highlighted 6 critical factors which impact Home Loan Eligibility. Many readers requested me to write a seperate post on Home Loan Eligibility. Let me admit that there is no scientific method to fix Home Loan Eligibility. If an Individual A apply for a Home Loan with 3 different banks, All 3 banks will fix different Home Loan Eligibility. The deviation is normally 5%-10% from mean. Private Banks and HFC’s are more liberal whereas PSU banks are strict. Home Loan Eligibility is fixed based on Risk Assessment of a Borrower by the Bank. Bank A might consider Borrower’s profile riskier compared to Bank B. To understand the importance of Home Loan Eligibility, i would like to share case study of Mr Amit Sawant from Mumbai. Last month, he applied for online Home Loan through one of the leading banks. The online tool fixed Home Loan Eligibility as 85 Lakhs. Based on this he finalized property and paid token amount of 5 Lakhs to the seller. After bank evaluated his application, the final Home Loan Eligibility was 55 Lakhs. He had to cancel the deal and forego token amount. A word of caution from my end that online tools used by various banks for Home Loan application is provided by 1 vendor. These tools are just for lead generation. Though bank may claim to get Home Loan approved in 5 mins but Home Loan Eligibility fixed by online tool is only indicative. You should never go by the Home Loan Eligibility fixed through online Home Loan application tool. (a) High CIBIL Score: As i keep highlighting to my readers that high CIBIL Score does not mean Higher Home Loan Eligibility. CIBIL Score is only one of the criterion to decide the Home Loan Eligibility. (b) High Income: Another myth is that my household income is high therefore my home loan eligibility will be high. What if, you are already serving Personal Loan & Car Loan or you have 5 dependents. (c) No Default till date: If you never defaulted then your application will be taken favourably but it does not mean higher Home Loan amount. (d) Credit Card: Another myth that since i never applied and used credit card therefore bank should lend me more. Its a misconception, rather good credit practices improve CIBIL Score. Application of a borrower with good credit card usage practice is taken more favourably then borrower with No credit history. Credit Card helps you to build good credit history. (e) Agent/Bank Employee: In past, bank manager had sole discretion to fix Home Loan eligibility but gone are those days. Now all records are compuetrized and system takes all the decisions. Many of my readers are under impression that if they know any bank employee or sometimes Home Loan agent promise higher Home Loan Eligibility. Trust me “No One” can influence this process. Its a myth that if you know someone in the bank then your Home Loan will be approved with higher eligibility. (a) Income & Repayment Capacity: The most critical factor to fix Home Loan Eligibility. Through income statement, bank arrive at re-payment capacity of an individual. If your spouse is working, he/she can be co-borrower which will help to increase Home Loan Eligibility. Normally banks do reverse calculation i.e. bottoms-up approach to arrive at Home Loan Eligibility. The basic assumption is that a borrower can potentially pay 40%-50% of net take home salary as EMI maintaining basic standard of living. Another key point is that some times salaried class opt for reimbursements like medical, car hire, driver’s salary, fuel & maintenance cost and LTA. Banks don’t consider these components as salary/income so it is advisable not to opt for these reimbursement components if you wish to increase Home Loan Eligibility. (b) Age: Financial Planners always suggest you to buy Home Loan at early age but they never tell Why?. Reason is while fixing Home Loan Tenure and Eligibility, banks consider no of working years left. A 45 year old Borrower will get Home Loan with max tenure of 15 years therefore it will reduce Home Loan Eligibility drastically. Early you apply higher will be the Home Loan Eligibility. (c) Nature of Job and Job Stability: You will observe that certain professions or jobs like Police, Lawyers, off roll employees, frequent travelling job, temp staff or employees in high risk sectors, freelancers, Self Employed professionals etc find it next to impoosible to avail Home Loan. Banks insist on guarantor in such cases. 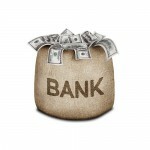 Key concern of a bank is how to recover the loan in case of any eventuality. Nature of Job and Job Stability also play imp role in Home Loan Process. (d) No of Dependents: More the No of Dependents, More the Liabilities thus Lower Home Loan Eligibility. Some banks conduct micro level profiling of a borrower to list major liabilities of a borrower in near future e.g. age of a kid is one such parameter. In such scenarios banks consider only 30%-35% of take home salary as repayment capacity for EMI payment. (e) Existing Liabilities: Again going by the prinicple of repayment capacity, if you are already servicing any other loan like Personal loan or Car Loan then it will reduce your Home Loan Eligibility. Broadly bank will reduce EMI towards such loans from your repayment capacity to arrive at Home Loan Eligibility. It is always advisable to close existing loans especially unsecured loans before applying for Home Loan. It will increase Home Loan Eligibility. (f) High Risk Zones: Though it might sound illogical but if the property is in high risk zones e.g. Seismic Zone V like Kutch area of Gujarat or North East, Tsunami prone area, Terrorist/Disturbed area, near Defence Establishments etc will impact Home Loan Eligibility. (g) CIBIL Score: Last but not the least, High CIBIL Score means Low Risk thus Low probability of a payment default. CIBIL Score of more than 750 is considered as good CIBIL Score. For elite 800 + club, its a cake walk if rest all criterions are fulfilled. Even if all the criterions are favourable for Home Loan but CIBIL Score is Low, Bank will not approve Home Loan at any cost. To Summarize, Home Loan Eligibility is fixed based on Risk Assessment of a Borrower by the Home Loan Provider. If a borrower fits into acceptable risk profile of a bank then bank will approve the Home Loan. Home Loan Eligibility will vary in each bank based on Risk Assessment. The definition of Risk Profile vary from bank to bank. Hope you liked the post. Please feel free to post your queries and suggestions in following comments section. You can share this post with your friends and family members through social media icons.